Walking onto the set of Star Pilot (1966) and seeing my mother in a modern-age space suit with a laser gun in hand was beyond awe inspiring for a wide eyed four-year-old, but it was there, in that realm of fantasy and fiction, that my relationship and passion for film began. And how could I not be thrilled by the action and the costumes especially when my mother was center stage. My mother, Leonora Ruffo, a stunning beauty, was discovered at 18 for the screen by the director Pietro Francisci in 1952 and went on to star in Fellini’s classic, I Vitteloni. She married my father, Ermanno Curti (who will be the subject of my next blog) and he went on to establish Minerva Pictures in part, because he became immersed into the film business because of my mother, but probably also, to keep a better eye on his gorgeous wife. My childhood was filled with directors and actors and it was not unusual to have someone like Fellini come to my house for dinner; I remember him clearly, even though I was still a young boy: he wore his signature hat and his eyes seemed super wide, as if he was looking at the world for the very first time. Of course this clarity of vision and ability to see the world in a unique way were the characteristics that certainly led him to create amazing films that challenged the norm and explored reality in stunning and unconventional ways. I also remember walking down the street with my mother and watching the men turn their heads; she was a knock out. She introduced me to film and stirred the creative soul inside me. She always supported my creative endeavors and allowed me to pursue my dream of being a musician. After many years living in London and creating and managing a successful record label, Vibraphone Records, I too, wanted to shift gears and return home to Rome to work with my family's company. The concept of Rarovideo stemmed out of the knowledge of cinema I acquired watching my mother on sets and while living in London in my 20’s and 30’s where I frequented places like The Scala, Everyman and the The Brixton Ritzy. In those days repertoire movies were only available at theaters. Sometimes I used to go to all night screenings at The Scala and watch 4 to 5 movies in a row; they used to have an amazing programming and it was there that I discovered Fassbinder and Warhol among many other great directors. I approached my brother, Gianlucca Curti and my father with the concept for Rarovideo in 1999 and I am proud to say that for more than twenty years, RARO/VIDEO: Cinema Art Visions, has been engaged with the purchasing and development of classic films for distribution in various media platforms. So, with all that, this week I am recommending films starring my mother. My mother's career was shortened because she decided it was more important to stay home with me and my brother. Had she continued her career as an actor she would have gone on to do great things, but for now we can remember her through the films she made from 1952-1969. Not all titles are available, and Rarovideo will hopefully come out with some of the ones we own the rights to, but for now we can watch a few of them in all her glory. Ti voglio molte bene Mamma. See film recommendations below along with details about her favorite restaurant in Rome, which is still in operation, and the recipe for my favorite Italian dish that she used to make. Elegant Italian leading lady of the 50's and 60's, born Bruna Bovi, the youngest of five siblings in Rome. As a youth she was noted for her prowess as a gymnast, a fact which contributed to her discovery for the screen by the director Pietro Francisci in 1952. With her luminous eyes and spirited personality, Leonora was rarely cast as anything other than eye-candy in spaghetti westerns or sword-and-sandal epics. A couple of exceptions stand out: first, her titular role as Balkis, The Queen of Sheba (1952) (co-starring Gino Cervi, as King Solomon); secondly, -- arguably her best performance -- as Sandra Rubini, wife of an irresponsible ne'er-do-well and inveterate womanizer (played by Franco Fabrizi) in Federico Fellini's masterpiece I Vitelloni (1953). She also romped through a couple of mildly diverting horror flics. As Gordon Scott's girlfriend she battled faceless robots and vampires in Goliath and the Vampires (1961). In the off-beat Mario Bava offering Hercules in the Haunted World (1961), she was held on the island of the Hesperides under the control of a demon (Christopher Lee at his menacing best). Leonora's sporadic career as a movie actress was done and dusted by 1961 and she retired from acting at the end of the decade. 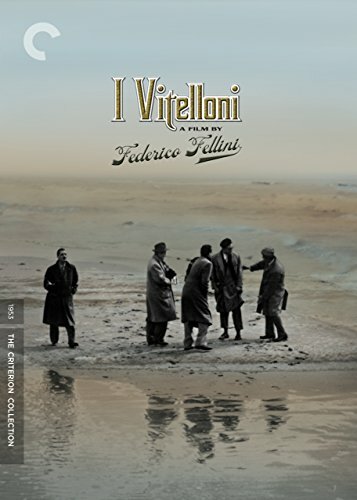 CLASSIC: I Vitelloni (1953) was Federico Fellini’s second film as a writer-director and his first commercial success. My mother, Leonora Ruffo stars as the main female lead, Sandra Rubini, a naive and demure new wife who has no clue that her husband is being unfaithful. The film’s title, I Vitelloni, “young bulls”, describes the young men who are avoiding the responsibilities of life. 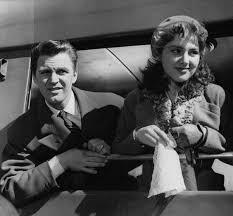 The film can be said to be a part of the Italian neo-realism tradition which showed the day to day activities of the working class, but it can also be described as a coming-of-age comedy-drama about aimless young men in the post war era. 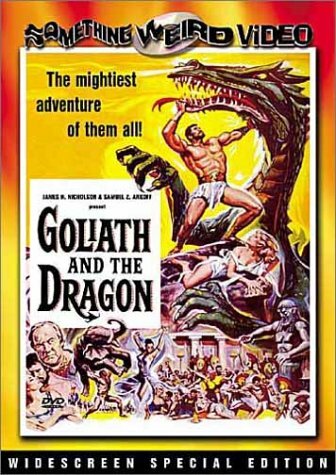 CULT: Goliath and the Dragon (1960) also stars my mother and is a true cult film with cheesy special effects including a fire breathing dragon. You know it's a true cult film when a centaur enters in the final scene!! All Italian restaurants and recipes will be Rare ones of course!!! Leonora's favorite restaurant was La Torricella which is still operating and has some of the most classic Roman dishes. Whenever I return to Rome it is one of the first places I go to eat. Nestled into the Testaccio neigborhood, which is considered the "Real Rome", it sends you back in time because it looks exactly the same as it has for the last 50 years. The food is amazing and the service is impeccable. Outside seating is the best. Before you start, preheat the oven to 200C. 1. First prepare the zucchini. Cut off both ends then using a long handled metal spoon, scrape out the inside of the zucchini, leaving a shell (about 3/4cm wide). 2. Mix together the stuffing ingredients then place in a food processor and pulse just a few times OR chop the mixture a little on a cutting board, using a large knife (don't make it too fine). 3. Using your hands, stuff the mixture into the zucchini (stuff through both ends as it's easier). Place in the fridge whilst you prepare the sauce. 4. In a deep frying pan (with lid), heat up a few tbsps of olive oil and fry the garlic gently till softened. 5. Add the tomato juice, stock and basil and let it cook for just a couple of minutes. 6. Lay the zucchini in the pan, cover with a lid and bake in the oven at 200C for about 50-60mins. Lovely served with rice, couscous or some Italian country style bread. You can add parmesan or bread crumbs to the top too while baking.